Palpable anxiety pervades the Nigerian Police over the fate of Inspector General of Police, Ibrahim Idris, who clocks 35 years in service today. 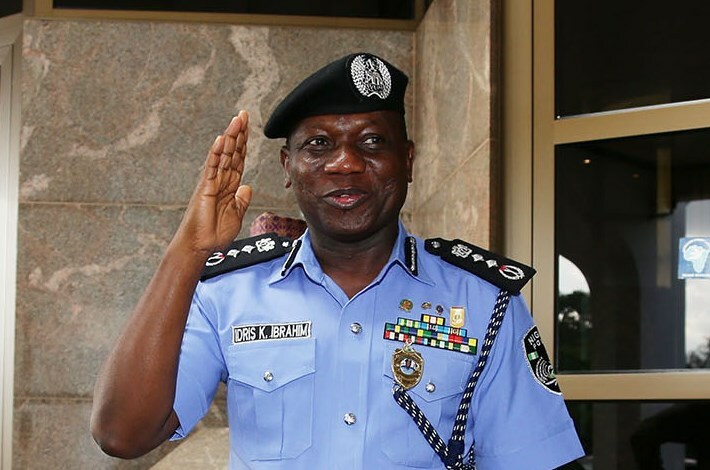 IGP Idris enlisted into the police on January 3, 1984 and has, therefore, been caught up with the retirement clause of number of years in service. However, he would be 60 years of age on January 15, having been born on January 15, 1959. According to the service rule, civil servants are to retire on completion of 35 years in service or on attainment of 60 years of age. If the civil service rule on years of service is applied for IGP Idris, he is due to retire today, having clocked 35 years in service. If, however, age is used he would be due for retirement by January 15. Meanwhile, there are speculation that President Muhammadu Buhari may extend the tenure of the IGP Idris, just like that of Chief of Defence Staff, General Abayomi Gabriel Olonisakin; Chief of Army Staff, Lieutenant-General Tukur Yusufu Buratai; Chief of Naval Staff, Vice Admiral Ibok-Ete Ekwe Ibas; and the Chief of Air Staff, Air Marshal Sadique Baba Abubakar. President Muhammadu Buhari appointed Idris, who is the 19th indigenous Inspector General of Police, IGP on March 21, 2016. He replaced Solomon Arase, who retired from service on June 21, 2016. Prior to his appointment, he was an Assistant Inspector General of Police (Operations), FHQ Abuja. He also led the Police Mobile Force as well as the Kano State and Nasarawa State police commands as Commissioner of Police. IGP Idris, who hails from Kutigi, Lavun in Niger State, enlisted into the Nigerian Police Force in 1984, after graduating from the Ahmadu Bello University Zaria with a bachelor’s degree in Agriculture. He also holds a degree in Law from the University of Maiduguri. Top police officers, who spoke with Daily Sun on condition of anonymity, said it would be important for the Federal Government to state its position, as whether to extend IGP Idris’ tenure or retire him so that the tension in the force would come down. years of age on January 15, insisting that it is then that his fate would be known. According to him, “those saying the tenure of the IGP expires tomorrow (today) are mischievous. You know his date of birth is January 15. Even if he is going to retire, he is supposed to retire January 15, when he is 60 years of age. So there is nothing like that; you know some people who are from inside and outside, who are enemies are trying to be mischievous. In the retirement of IGP, the President is at liberty to pick any senior police officer in the rank of Commissioner of Police, Assistant Inspector General of Police or Deputy Inspector General of Police (DIG) as replacement. On the retirement of 21 (AIGs in 2016, the Police Service Commission (PSC) approved the appointment of seven Deputy Inspectors General to oversee the seven management departments of the police. The officers and their new designations are: Former Assistant Inspector General, Mr. Shuaibu Gambo, now DIG, Department of Finance and Administration; Commissioner of Police (CP), Mr. Joshak Habila, DIG, Department of Operations and former Commissioner of Police (CP), Mr. Maigari Abbati Dikko, as DIG, Department of Logistics and Supply. Others were Commissioner of Police, Peace Ibekwe appointed DIG, Department of FCIID, CP Emmanuel T. Inyang, DIG, Department of Training and Development; and CP Abdul Bube, as AIG Force Secretary.